Does fourvows8fold belong in this group? 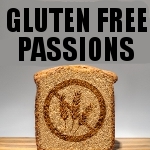 GlutenfreeMrmagee I've been dealing with gluten related issues for two years. Does danstan2 belong in this group? Gluten Free Mama, Looking For Mr Right!! I'm gluten free b/c of an intolerance that is possibly Celiac's. My daughter is gluten free b/c of ADHD. It would be nice to meet a guy who is gluten free as well. Does sweetcandice86 belong in this group? Trying to be gluten free due to diagnosis of celia Favorite food is pasta. Learning to like rice pasta so that i can atleast have pasta, although not quite the same. I do eat gluten occasionally but am trying to stay away as much as possible. Does campingmom1970 belong in this group? Does freerangewife belong in this group? Does wohelogirl belong in this group? Does tom43 belong in this group? Does goldenkiwi2095 belong in this group? Does rawfruityflower belong in this group? Does pocaroja belong in this group?